Experience: Serving the automotive and air compressor markets for 84 years. 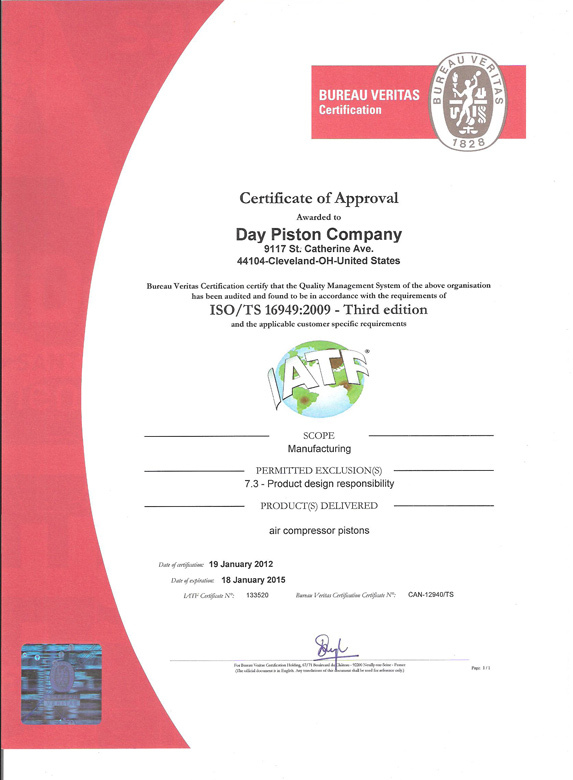 Day Piston Company has produced pistons for both OEM and After Market customers. 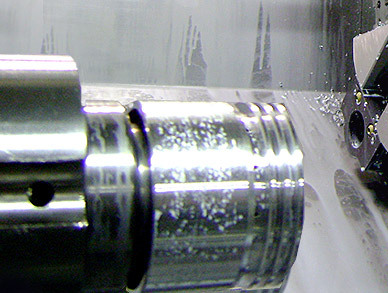 Managed by four generations of engineering and manufacturing professionals, Day Piston has maintained excellent relationships with valued customers for over 65 years. Capability: We are well equipped to handle all phases of close tolerance piston manufacturing. We can produce pistons in low, medium and high volumes. Material: Aluminum, Cast iron and Steel. Partnership in Quality and Productivity: Day Piston Company becomes an extension to your manufacturing department offering on-line scheduling, continuous improvement programs and computerized SPC data collection. TS 16949 certified.